Our first Recovery House opened in August 2013, a residence for men established specifically to meet the needs of students in recovery from alcohol and drugs. 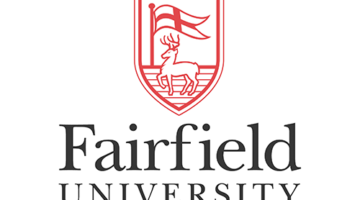 In August 2016, Fairfield University opened our second Recovery House, which is located next to the first Recovery House. Our house is conveniently located within walking distance to campus. Students experience an independent living environment with the fully integrated support services of our Collegiate Recovery Program—qualified professionals with years of experience in the field of addiction and recovery. A house manager lives onsite and is available to advise and support students, while helping to build community among them. Students must apply to live in the Recovery House program and agree to abide by the standards of the community and the program requirements, some of which include: achieving academic success, attending meetings, program participation, having a sponsor in their 12-step program, and passing random drug screens. Housing is not a requirement to participate in the Collegiate Recovery Program, but students may find it to be extremely valuable in supporting their recovery. CRP includes support groups, meetings, dinners, and organized activities, such as attendance at sporting and campus events, go-carting, paintball, skiing and other fun outings.